REDMOND, Ore., Jan. 16, 2017 /PRNewswire/ — Eating Disorder Hope is honored to announce the Winter 2017 recipients of its respected Seal of Excellence. These recipients embody Eating Disorder Hope’s message of hope and healing while contributing to the eating disorder community in unique and invaluable ways. Through the Seal of Excellence initiative, Eating Disorder Hope proudly honors deserving parties from three categories each quarter, including Non-Profit Organizations, Eating Disorder Professionals, and Community Members. This interactive initiative relies on community participation through an anonymous online nomination process. Read more on Yahoo Finance. Get An Autographed Copy of Washed Away for the Holidays! 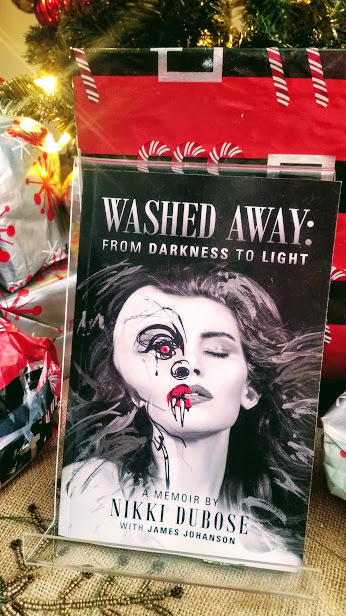 There’s still time to get your autographed copy of Washed Away for your loved one this holiday season! Just click the Buy Now button below and your copy will be on the way. Posted in blogTagged 2016, 2017, add, addiction, Amazon, autographed copy, barnes and noble, books, buy now, christmas, depression, eating disorder recovery, from darkness to light, God, hanukah, holidays, mental illness, model, modeling, new years, nikki dubose, psychosis, recovery, sale, washed away, washed away from darkness to lightLeave a Comment on Get An Autographed Copy of Washed Away for the Holidays! 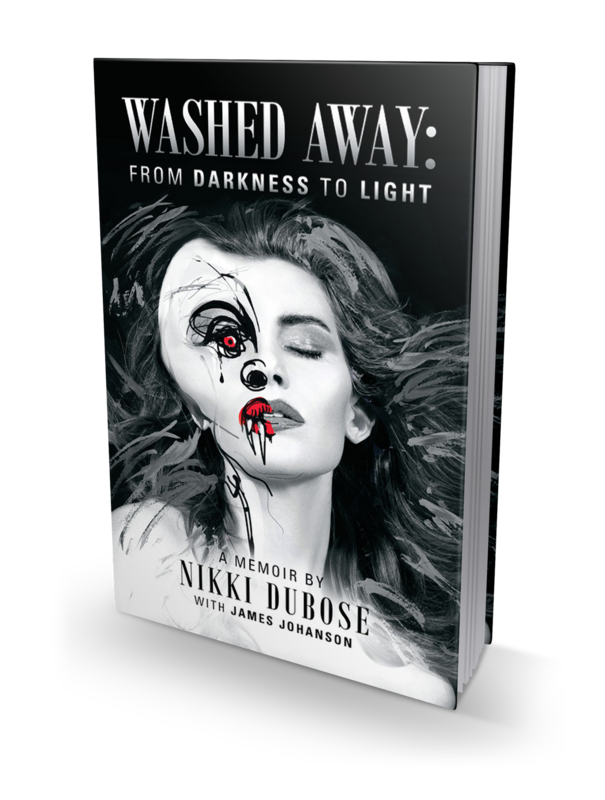 Get your Autographed Copy of Washed Away: From Darkness to Light! I’m offering a limited number of autographed copies of my memoir! For a short time only, get your autographed copy of Washed Away: From Darkness to Light. Just click on the “Buy Now” button and your very own, signed book will be delivered to your doorstep! Posted in blogTagged autographed, bipolar, books, darkness to light, depression, dubose, eating disorder recovery, God, memoir, mental health, modeling, models, nikki, nikki dubose, recovery, signed copy, washed awayLeave a Comment on Get your Autographed Copy of Washed Away: From Darkness to Light! Who doesn’t love pizza for breakfast? I made two different versions, here is the first one! Cinnamon-Sugar: Mix 4 tbs of alternative sugar or organic turbninado raw cane sugar with equal parts cinnamon in a small bowl. Yogurt Blend: Mix 1 1/2 cups of yogurt with 1 tbs heavy cream and 2 tbs of lemon juice. Preheat the oven to 350°. Place the pizza crust on parchment paper and place on a tray. Spread the butter over the crust and then sprinkle the cinnamon-sugar on top. Bake in the oven for about 10 to 15 minutes until it is golden brown, then let it cool. In a mixing bowl, combine the yogurt, heavy cream, and lemon. Spread it over the crust and top it with the berries and cinnamon-sugar once more. Eat like a pizza, and remember, mindfulness! “Have mercy on me, O God, have mercy! I look to you for protection. until the danger passes by. to God who will fulfill his purpose for me. disgracing those who hound me. I love the reality of being able to enjoy a big bowl of delicious cereal that is homemade! *Whisk together the lemon juice and the egg whites until they are fluffy. *Add in all other ingredients just until combined. *With a spoon, put batter onto a greased baking sheet in 1″ strips. *Bake for about 30 minutes or until lightly golden browned. *Let cereal cool, then place in bowl, top with fruits and pour with your favorite milk! (I prefer Flax milk with added protein). *Eat, enjoy and be merry! Life is short! (Note: 6/6/2014 I am no longer doing the Gerson Therapy however I highly recommend it to anyone seeking a natural alternative to medicine). As a result of healing from bulimia and anorexia for seventeen years, I sought many nutritional programs on the road to recovery. The Gerson Therapy came when I was at my wits-end with a swollen liver and kidneys. After I felt God leading me to this radical yet simplistic approach to eating and health, I was set completely free of my pain within a month. All recipes are taken straight from the powerful book I recommend, Healing The Gerson Way (Second Ed.) Thank you to The Gerson Institute and Charlotte Gerson for whom without none of this revolutionary healing would be possible. Please read Healing The Gerson Way for more information. Knowledge is power! I use one serving of each ingredient and all are certified organic. (Please Note: For the yogurt I use a Goats Milk yogurt). Chop the tomato and zucchini into chunks. Slice the green onion and add. Finely grate the raw beet (or chop cooked beet into chunks) and mix into the salad. Lay on a bed of lettuce. Pour over dressing. Chop tomatoes/carrot/celery and onion. Seed pepper and chop. Put all into a large pot and cover with water. Bring to a boil; turn down the heat and simmer until vegetables are tender. Puree (with electric blender or food mill). Add the orange juice. Reheat gently. Add a swirl of yogurt before serving. Baked potatoes should be thoroughly washed; not scraped or peeled. Bake in low oven at 300°F (149°C) for 2 or 2-1/2 hours or; alternatively bake for 50 minutes to 1 hour at 350°F (177°C). Gently cool the carrots whole. When beginning to soften remove from pan and cut into 2-inch sticks. Return to the saucepan with the sugar and a little water. Heat until the sugar is dissolved; the water has been absorbed and the carrots are cooked. Add the lemon juice and herbs and heat for an additional two minutes. Place on a warm serving dish and serve immediately. So there we have our beautiful dinner of healing foods straight from the Gerson Therapy.